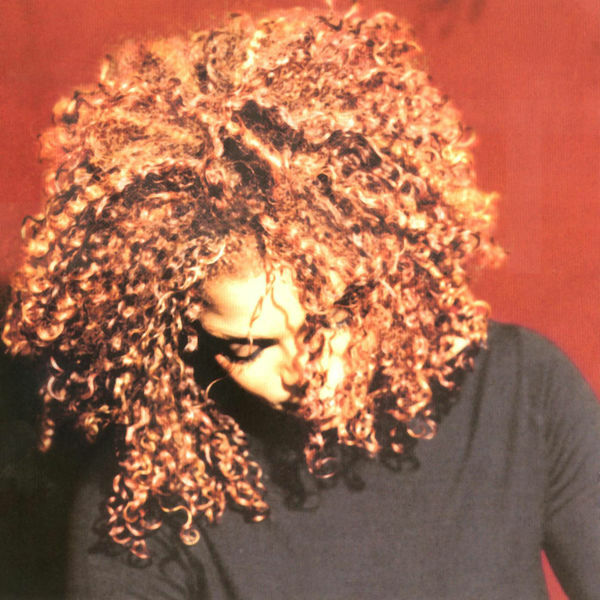 Non Music Work, ComposerLyricist - JANET JACKSON, MainArtist Auteursrecht : (C) 1997 Black Doll Inc ℗ 1997 Virgin Records America, Inc.
Trevor Horn, ComposerLyricist - Alex Richbourg, Drum Programming, Rhythm Arranger, AssociatedPerformer - Steve Hodge, Mixer, Engineer, Recording Engineer, StudioPersonnel - JIMMY JAM, Producer, Vocal Arranger, Rhythm Arranger, AssociatedPerformer, Instruments (EMI Load: DO NOT USE) - TERRY LEWIS, Producer, Vocal Arranger, Rhythm Arranger, AssociatedPerformer, Instruments (EMI Load: DO NOT USE), ComposerLyricist - Mike Oldfield, ComposerLyricist - Brian "Big Bass" Gardner, Mastering Engineer, StudioPersonnel - Tim Lauber, Asst. Recording Engineer, StudioPersonnel - JAMES HARRIS, ComposerLyricist - JANET JACKSON, Producer, Vocal Arranger, Rhythm Arranger, MainArtist, AssociatedPerformer, ComposerLyricist - Malcolm McLaren, ComposerLyricist - Terry Lewis for Flyte Tyme Productions, Producer - Xavier Smith , Asst. Recording Engineer, StudioPersonnel - Mike Ozdozzi, Mastering Engineer, StudioPersonnel - Vanessa-Mae, Violin, FeaturedArtist, AssociatedPerformer - Rene Elizondo Jr., ComposerLyricist - United Children's Choir, Choir - Willie R. Norwood Snr (Cognac), Vocal Arranger, AssociatedPerformer - Rayvaline Harrell, Vocal Arranger, AssociatedPerformer Auteursrecht : (C) 1997 Black Doll Inc ℗ 1997 Virgin Records America, Inc.
Lee Oskar, ComposerLyricist - Sylvester Allen, ComposerLyricist - Harold Brown, ComposerLyricist - Morris Dickerson, ComposerLyricist - Howard Scott, ComposerLyricist - Alex Richbourg, Drum Programming, Rhythm Arranger, AssociatedPerformer - Steve Hodge, Mixer, Recording Engineer, StudioPersonnel - JIMMY JAM, Producer, Vocal Arranger, Rhythm Arranger, AssociatedPerformer, Instruments (EMI Load: DO NOT USE) - TERRY LEWIS, Producer, Vocal Arranger, Rhythm Arranger, AssociatedPerformer, Instruments (EMI Load: DO NOT USE), ComposerLyricist - Brian "Big Bass" Gardner, Mastering Engineer, StudioPersonnel - Charles Miller, ComposerLyricist - JAMES HARRIS, ComposerLyricist - JANET JACKSON, Producer, Executive Producer, Vocal Arranger, Rhythm Arranger, MainArtist, AssociatedPerformer, ComposerLyricist - Xavier Smith , Asst. Recording Engineer, StudioPersonnel - Mike Ozdozzi, Mastering Engineer, StudioPersonnel - Leroy "Lonnie" Jordan, ComposerLyricist - Harold Scott, ComposerLyricist - Rene Elizondo Jr., Producer, Executive Producer, ComposerLyricist Auteursrecht : (C) 1997 Black Doll Inc ℗ 1997 Virgin Records America, Inc.
Marilyn McLeod, ComposerLyricist - Pamela Sawyer, ComposerLyricist - Mike Scott, Guitar, AssociatedPerformer - Steve Hodge, Mixer, Recording Engineer, StudioPersonnel - JIMMY JAM, Producer, Vocal Arranger, Rhythm Arranger, AssociatedPerformer, Instruments (EMI Load: DO NOT USE) - TERRY LEWIS, Producer, Vocal Arranger, Rhythm Arranger, AssociatedPerformer, Instruments (EMI Load: DO NOT USE), ComposerLyricist - Brian "Big Bass" Gardner, Mastering Engineer, StudioPersonnel - NICKOLAS ASHFORD, ComposerLyricist - Valerie Simpson, ComposerLyricist - JAMES HARRIS, ComposerLyricist - JANET JACKSON, Producer, Executive Producer, Vocal Arranger, Rhythm Arranger, MainArtist, AssociatedPerformer, ComposerLyricist - Xavier Smith , Asst. Recording Engineer, StudioPersonnel - Mike Ozdozzi, Mastering Engineer, StudioPersonnel - Rene Elizondo Jr., Producer, Executive Producer, ComposerLyricist Auteursrecht : (C) 1997 Black Doll Inc ℗ 1997 Virgin Records America, Inc.
Mike Scott, Guitar, AssociatedPerformer - Steve Hodge, Mixer, Recording Engineer, StudioPersonnel - JIMMY JAM, Producer, Vocal Arranger, Rhythm Arranger, AssociatedPerformer, Instruments (EMI Load: DO NOT USE) - TERRY LEWIS, Producer, Vocal Arranger, Rhythm Arranger, AssociatedPerformer, Instruments (EMI Load: DO NOT USE), ComposerLyricist - JAMES BROWN, ComposerLyricist - Archie Bell, ComposerLyricist - Brian "Big Bass" Gardner, Mastering Engineer, StudioPersonnel - JAMES HARRIS, ComposerLyricist - JANET JACKSON, Producer, Executive Producer, Vocal Arranger, Rhythm Arranger, MainArtist, AssociatedPerformer, ComposerLyricist - Xavier Smith , Asst. Recording Engineer, StudioPersonnel - Mike Ozdozzi, Mastering Engineer, StudioPersonnel - Michael Hepburn, ComposerLyricist - Rene Elizondo Jr., Producer, Executive Producer, ComposerLyricist - Billy Buttier, ComposerLyricist Auteursrecht : (C) 1997 Black Doll Inc ℗ 1997 Virgin Records America, Inc. Non Music Work, Composer - JANET JACKSON, MainArtist Auteursrecht : (C) 1997 Black Doll Inc ℗ 1997 Virgin Records America, Inc.
Steve Hodge, Mixer, Engineer, Recording Engineer, StudioPersonnel - JIMMY JAM, Producer, Vocal Arranger, Rhythm Arranger, AssociatedPerformer, Instruments (EMI Load: DO NOT USE) - TERRY LEWIS, Producer, Vocal Arranger, Rhythm Arranger, AssociatedPerformer, Instruments (EMI Load: DO NOT USE), ComposerLyricist - Brian "Big Bass" Gardner, Mastering Engineer, StudioPersonnel - JAMES HARRIS, ComposerLyricist - JANET JACKSON, Producer, Vocal Arranger, Rhythm Arranger, MainArtist, AssociatedPerformer, ComposerLyricist - Terry Lewis for Flyte Tyme Productions, Producer - Xavier Smith , Drum Programming, Asst. Recording Engineer, AssociatedPerformer, StudioPersonnel - Mike Ozdozzi, Mastering Engineer, StudioPersonnel - Rene Elizondo Jr., ComposerLyricist Auteursrecht : (C) 1997 Black Doll Inc ℗ 1997 Virgin Records America, Inc.
Steve Hodge, Mixer, Engineer, Recording Engineer, StudioPersonnel - JIMMY JAM, Producer, Vocal Arranger, Rhythm Arranger, AssociatedPerformer - TERRY LEWIS, Producer, Vocal Arranger, Rhythm Arranger, AssociatedPerformer, ComposerLyricist - Brian "Big Bass" Gardner, Mastering Engineer, StudioPersonnel - JAMES HARRIS, ComposerLyricist - JANET JACKSON, Producer, Vocal Arranger, Rhythm Arranger, MainArtist, AssociatedPerformer, ComposerLyricist - STEVE DURKEE, Asst. Recording Engineer, StudioPersonnel - Terry Lewis for Flyte Tyme Productions, Producer - Xavier Smith , Asst. Recording Engineer, StudioPersonnel - Mike Ozdozzi, Mastering Engineer, StudioPersonnel - Rene Elizondo Jr., ComposerLyricist - Dave Barry, Guitar, AssociatedPerformer Auteursrecht : (C) 1997 Black Doll Inc ℗ 1997 Virgin Records America, Inc.
James "Big Jim" Wright, Keyboards, Rhythm Arranger, AssociatedPerformer - Mike Scott, Guitar, AssociatedPerformer - Alex Richbourg, Drum Programming, Rhythm Arranger, AssociatedPerformer - Steve Hodge, Mixer, Engineer, Recording Engineer, StudioPersonnel - JIMMY JAM, Producer, Vocal Arranger, Rhythm Arranger, AssociatedPerformer - TERRY LEWIS, Producer, Vocal Arranger, Rhythm Arranger, AssociatedPerformer, ComposerLyricist - Brian "Big Bass" Gardner, Mastering Engineer, StudioPersonnel - Tim Lauber, Asst. Recording Engineer, StudioPersonnel - JAMES HARRIS, ComposerLyricist - JANET JACKSON, Producer, Executive Producer, Vocal Arranger, Rhythm Arranger, MainArtist, AssociatedPerformer, ComposerLyricist - Terry Lewis for Flyte Tyme Productions, Producer - Xavier Smith , Asst. Recording Engineer, StudioPersonnel - Mike Ozdozzi, Mastering Engineer, StudioPersonnel - Rene Elizondo Jr., Producer, Executive Producer - Rene Elizondo, ComposerLyricist Auteursrecht : (C) 1997 Black Doll Inc ℗ 1997 Virgin Records America, Inc.
James "Big Jim" Wright, Organ, AssociatedPerformer - Mike Scott, Guitar, AssociatedPerformer - Alex Richbourg, Drum Programming, Rhythm Arranger, AssociatedPerformer - Steve Hodge, Mixer, Engineer, Recording Engineer, StudioPersonnel - JIMMY JAM, Producer, Vocal Arranger, Rhythm Arranger, AssociatedPerformer - TERRY LEWIS, Producer, Vocal Arranger, Rhythm Arranger, AssociatedPerformer, ComposerLyricist - Brian "Big Bass" Gardner, Mastering Engineer, StudioPersonnel - JAMES HARRIS, ComposerLyricist - JANET JACKSON, Producer, Vocal Arranger, Rhythm Arranger, MainArtist, AssociatedPerformer, ComposerLyricist - Terry Lewis for Flyte Tyme Productions, Producer - Xavier Smith , Asst. Recording Engineer, StudioPersonnel - Mike Ozdozzi, Mastering Engineer, StudioPersonnel - Rene Elizondo Jr., ComposerLyricist - Dave Barry, Guitar, AssociatedPerformer Auteursrecht : (C) 1997 Black Doll Inc ℗ 1997 Virgin Records America, Inc.
Steve Hodge, Mixer, Engineer, Recording Engineer, StudioPersonnel - JIMMY JAM, Producer, Vocal Arranger, Rhythm Arranger, AssociatedPerformer, Instruments (EMI Load: DO NOT USE) - TERRY LEWIS, Producer, Vocal Arranger, Rhythm Arranger, AssociatedPerformer, Instruments (EMI Load: DO NOT USE), ComposerLyricist - Brian "Big Bass" Gardner, Mastering Engineer, StudioPersonnel - JAMES HARRIS, ComposerLyricist - JANET JACKSON, Producer, Vocal Arranger, Rhythm Arranger, MainArtist, AssociatedPerformer, ComposerLyricist - STEVE DURKEE, Asst. Recording Engineer, StudioPersonnel - Terry Lewis for Flyte Tyme Productions, Producer - Xavier Smith , Asst. Recording Engineer, StudioPersonnel - Mike Ozdozzi, Mastering Engineer, StudioPersonnel - Rene Elizondo Jr., ComposerLyricist Auteursrecht : (C) 1997 Black Doll Inc ℗ 1997 Virgin Records America, Inc.
Steve Hodge, Mixer, Engineer, StudioPersonnel - JIMMY JAM, Producer - TERRY LEWIS, Producer, ComposerLyricist - JAMES HARRIS, ComposerLyricist - JANET JACKSON, Producer, Executive Producer, MainArtist, ComposerLyricist - Terry Lewis for Flyte Tyme Productions, Producer - Rene Elizondo Jr., Producer, Executive Producer, ComposerLyricist Auteursrecht : (C) 1997 Black Doll Inc ℗ 1997 Virgin Records America, Inc.
℗ 1997 Virgin Records America, Inc.